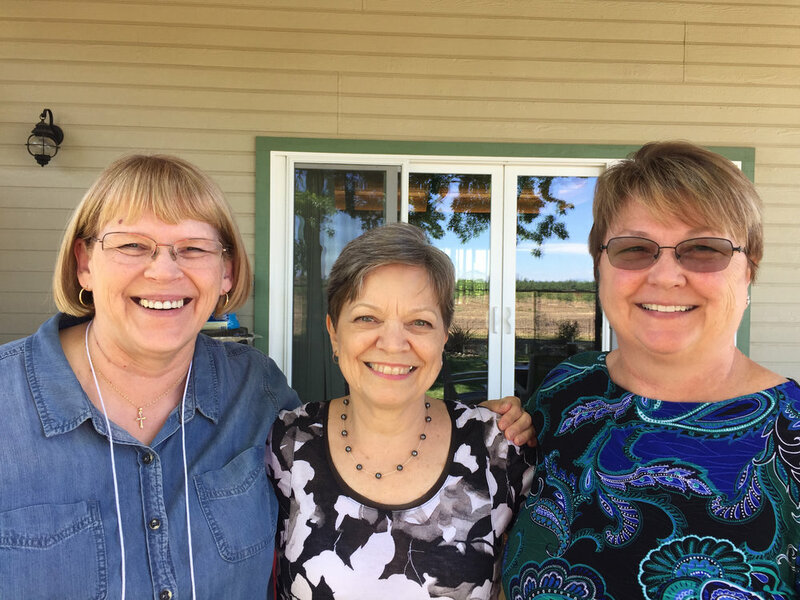 Sarah Budd and Cheri Dale co-facilitated our Leadership Team weekend retreat in March. Twenty-two of us attended. The weekend focused on building a cohesive leadership team. 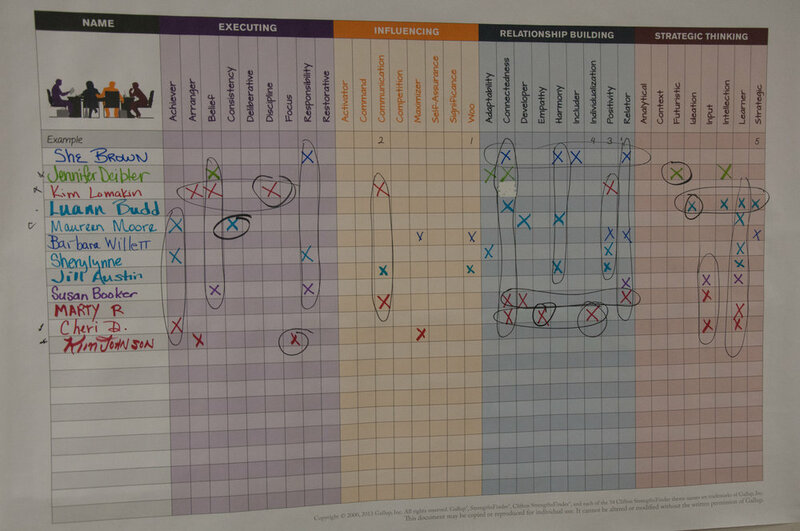 We spent time developing a common understanding of best practices for leading teams and the ideal characteristics required for team members using insight from Patrick Lencioni’s books: Five Dysfunctions of a Team, Ideal Team Player, and Advantage. NEWIM is a Team of Teams, bound together by our shared mission. Women on the teams are empowered to run their ministries to meet the needs of the women they serve. The teams have a shared vision, are seeking to create a common culture and live our core values. The teams share their goals and projects with the whole organization. There’s a free flow of information across the teams as women form relationships and work together. Often women serve on more than one team, given how the Lord has called and gifted them. Easier to keep up with change. Easier to launch new ministries. Easier to adapt our current ministries to remain relevant. Silos are replaced with connection. Women feel comfortable sharing ideas across teams and thinking together about how to best accomplish the mission we share. Teams set their own annual goals, not the Board. If someone on the team can’t complete her responsibilities, other team members will. Women come alongside each other across teams; there’s support from the whole leadership team to help. Women can move from serving on one team to another team without disrupting relationships. Succession planning happens within the team. Our organizational structure is truly a network. Our structure is aligned with our mission. Healthy needs are building on a solid foundation of TRUST. We need to be vulnerable with each other which will enable us to engage in healthy discussions and not be afraid to disagree or enter into conflict over differing ideas. When we feel heard we can commit to the decision, even if we don’t agree. Documenting decisions will help to eliminate ambiguity. We all have a role to play in holding others accountable for the work they said they would do. We need to identify goals and the results we are hoping for. We need to do our part, recognizing that the Lord is the One who will determine the outcome. The ideal team player will imitate the humility of Jesus (John 13, Phil 2). She will be passionate about what she is called to do and will work at it as unto the Lord. She will be aware of how she is impacting the others on the team (positively and negatively) and will share her own weaknesses and will ask her team members to give her feedback, to help her to grow. How has the Lord used this retreat in your life? Women on NEWIM's leadership team were invited to take the Gallup StrengthsFinders Assessment and then participate in a weekend of professional development with Sarah Budd facilitating. Two retreats were held: one in Oakdale and one in Orange County. We wanted to understand this information and learn how to apply it in our interactions with others. We wanted to learn how to strengthen the gifts God has given to us, as well as gain an increased awareness of the talents of the others on the team. 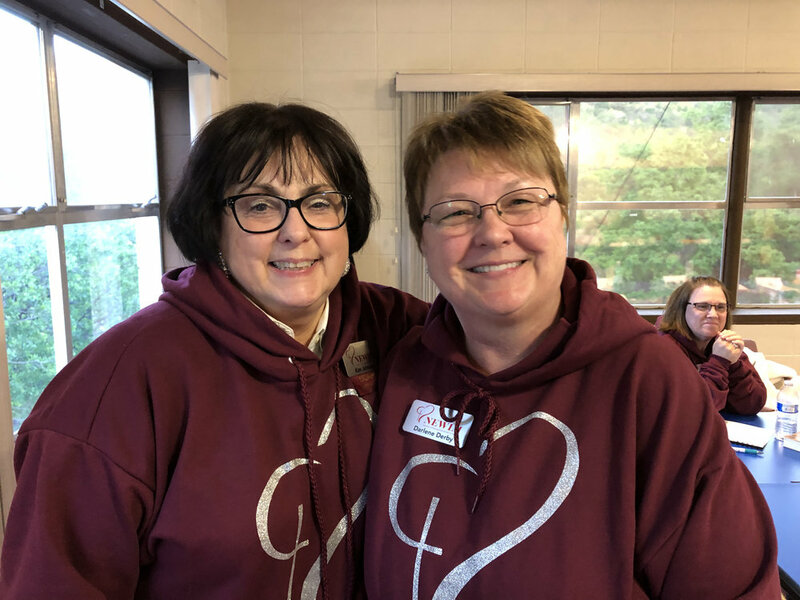 We also hoped that our friendships would be deepened and that we would more fully recognize the gift that God has given to us in each woman who serves on this team. Jackie and Carolyn hosted the team for dinner. 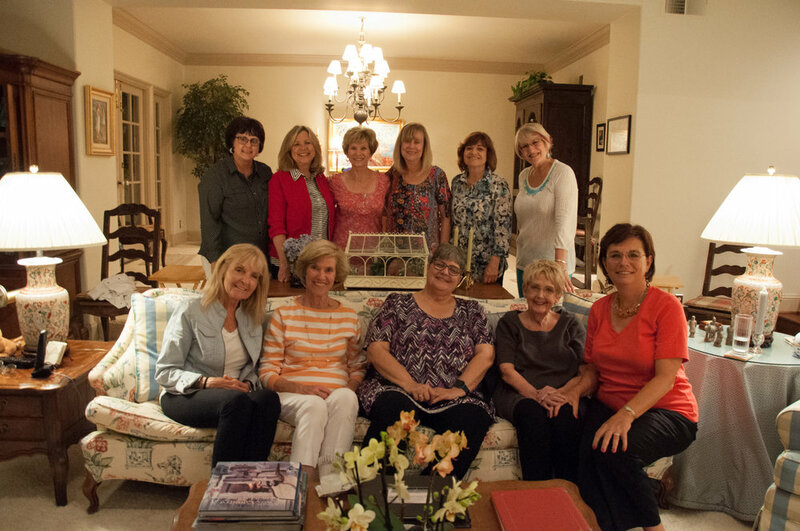 Back Row: Kim Johnson, Cheri Dale, Jill Austin, Marty Russell, Maureen Moore, Susan Booker. Front Row: Barbara Willett, Carolyn Shea, She Brown, Jackie Rettberg, Luann Budd. We used Romans 12:1-9 as our text for the retreat. It is so interesting that after 11 chapters of theology, articulating the wonders of the grace of the gospel, Paul urges us to respond to God's mercy by offering ourselves wholeheartedly in sacrificial service using our unique blend of gifts. We have different gifts, according to the grace given us. If a woman's gift is prophesying, let her use it in proportion to her faith. If it is serving, let her serve; if it is teaching, let her teach; if it is encouraging, let her encourage; if it is contributing to the needs of others, let her give generously; if it is leadership, let her govern diligently; if it is showing mercy, let her do it cheerfully. Love must be sincere. Uncovering our unique, natural, innate ways of thinking, feeling and behaving helps us to discover how we are "fearfully and wonderfully" made. We want to step into being who God created us to be in order that we may enthusiastically live our lives to please Him rather than hold back because we fear that we are doing it all wrong. Often we don't value our talents because we don't recognize them as strengths. Often we don't understand why others approach a task so differently from us. This retreat helped all of us to better understand our talents and how we need each other for our team to excel. The retreat schedule included 7 workshop sessions led by Sarah. We developed a shared understanding of Gallup's 34 strength "themes" and reviewed our top five talents and our individualized Insight Guides. We discussed what aspects of the Guide resonated with us, and what aspects we didn't recognize in ourselves. We also came to understand that our talent themes are neutral. There isn't a hierarchy that shows that some talents are actually better than others. We want to see our strengths as our toolbox, and just like a carpenter we want to know when to use each one of them and how they complement the strengths others have. When we invest in our strengths, we get the most return from our investment. The group brainstormed what we felt were essential elements for us to be a successful leadership team: Results, Collaboration, Trust, Shared Values, Action, Common Goals and Purpose are what we want for our team as we move forward. We recognize our interdependence. Our talents and strengths help us, and the team execute, influence others, build relationships, and absorb and think about information. We mapped each of our strengths in these four domains and recognized who the go-to people are in their areas of strength. And we thought about who the people are that we naturally seek out when we need help and what we particularly appreciate about them. We also spent time thinking about why people want to collaborate with us. What do we bring that others find helpful? We make things happen by using our talents, but because they are so much apart of how we innately approach what we do, we may not have identified our approach as a strength. We think everyone approaches tasks, relationships and decisions just like we do. But the fact is, we bring a unique way of approaching things that others don't share. Sarah provided us time to reflect on one of our top 5 themes, and helped us to see how we are always using our talents and how our talents benefit the team. As Paul said in Romans 12, we need each other. "Just as each of us has one body with many members, and these members do not all have the same function, so in Christ we who are many form one body, and each member belongs to all the others." The NEWIM leadership team is at our best when we wholeheartedly work together to accomplish what God has given us to do. It's obvious! We need each other. Each of us took time to reflect on when we are at our best, when we are at our worst, what we will bring to the team and what we'd love to receive from the others on the team. 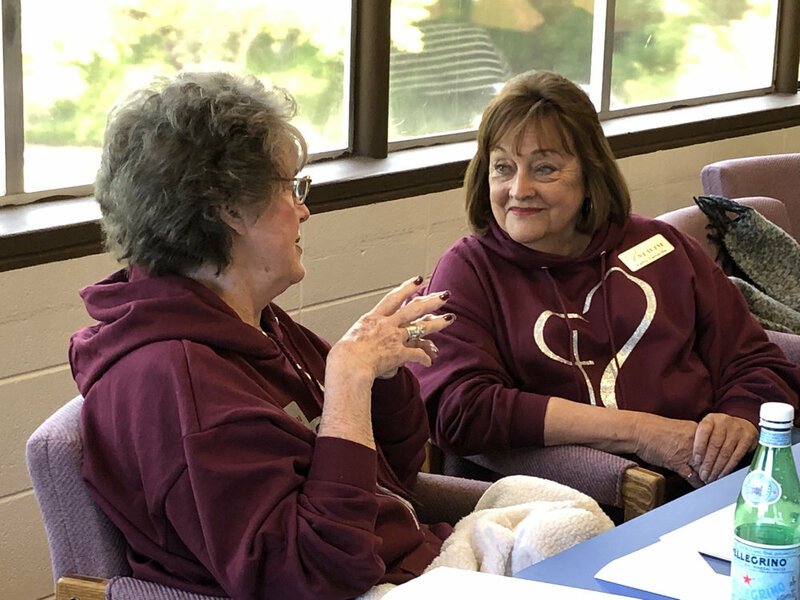 Common themes emerged: We are at our best when there is plenty of grace, when there is safety as we learn and make mistakes, when we are listened to and when we have the opportunity to be out in nature connecting with the Lord. This was a powerful time of sharing our hearts: we spoke vulnerably about when we feel we are at our best, what shuts us down, what we are committing to each other and how we will work collaboratively as part of the Leadership Team. Coming to recognize our unique blend of talents and how important it is that we fully invest in developing them into areas of strength, we left the retreat more deeply valuing the role we play, and that others play, on the team. And we were each convinced that we need to keep investing in our knowledge, skills and abilities so we continue to grow our talents into true assets for the team. The northern gals scheduled a follow-up phone call with Sarah where she could coach us in our personal professional development plan. 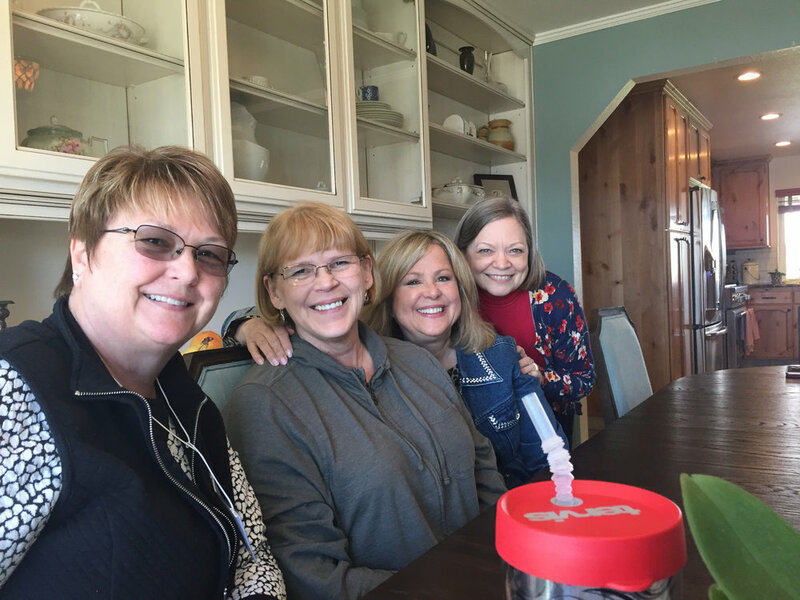 The southern gals are also scheduling a coaching call with Sarah so we take the insight from the retreat and put it into action. "As a woman, I found it particularly empowering to focus on developing my strengths rather than fixing my weaknesses. I hope to learn ways to 'manage' my weaknesses and increase my strengths by going deeper into the Strengths Finders resources." "I feel like Sarah has awakened my dead brain. I was actually thinking that I might have early Alzheimer's but now I'm just wondering if parts of me have just started shutting down to cope with my job. What we did this weekend has given me hope that with some thought and focus and being intentional about building on my talents and strengths, I will be able to get back to a fulfilling and happy life." "I found this to be not only insightful, but very freeing. It has opened up brand new understandings about how and why I live and work the way I do." Our strengths are like points of the star. As we invest in our strengths, we grow our star. When we focus on areas that are not our strengths, we are filling in the space between our points. When we serve on a team, the "pointiness" of others' fit with my 'pointiness' and together we move forward like cogs in a wheel.